Business application software companies offer applications that can govern the entire enterprise and/or specific functions/business units. In addition these solutions govern business communications within the enterprise. Corum Group will make the difference for your company. 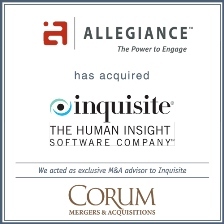 Allegiance, Inc., a leading provider of voice-of-the customer (VOC) solutions that help companies capitalize on customer and employee engagement, today announced that it has acquired Inquisite, Inc. an innovative provider of online survey software based in Austin, Texas. With the purchase of Inquisite, Allegiance accelerates its leadership position in next-generation Enterprise Feedback Management (EFM) solutions. Inquisite offers a robust and proven end-to-end survey solution designed for gathering and understanding the opinions and insights of customers, partners and employees. The flexible, self-administered survey product gives users the ability to build higher quality surveys and make better and faster decisions. Inquisite solutions are preferred by a growing customer base of Fortune 500 companies, including AT&T, Chevron, Dell, Intel, Visa, Citi, Johnson & Johnson, Marriott, Dupont, Xerox, SAP, Siemens, USPS, FDIC, REI, GAP, and Target. 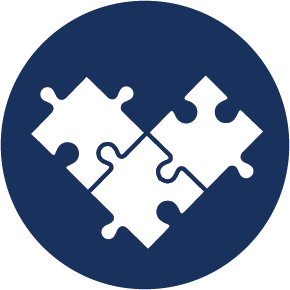 Plexus Systems, a Mich.-based provider of a broad suite of applications that automate business processes for discrete manufacturers. 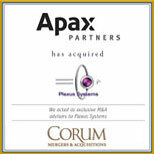 Plexus Systems was a logical investment for Apax Partners by expanding their on-demand solutions portfolio. Plexus Systems employs an “on-demand”, or “Software as a Service” (SaaS), delivery model that allows its single, standard code base to be accessed and shared by multiple customers via the Internet. The Plexus Online™ automates the business processes of mid-market discrete manufacturers, principally within the mission-critical areas of Manufacturing Execution Systems (MES) and Enterprise Resource Planning applications (ERP).